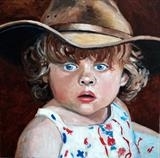 I am open to portrait commissions. I can work from my own photographs at one sitting but ideally should have at least 2 sittings to capture the essence of the peronality. Please feel free to enquire via email to richard.waldron@yahoo.co.uk or telephone my mobile 07710 392758.